A long-awaited transition is at last occurring… an essential one that must be in place before true nomadness can resume. It is the redefinition of “home” from a wooded place on Camano Island to a floating steel boat that could be anywhere. This is less obvious than it seems. It is not simply a matter of moving aboard, which we won’t be ready to do for a while; it is a major shift in perspective. Almost 3 weeks out and 200 miles along, I am starting to feel my ground reference migrate from earth to water, with this ship as the connection. The effects are interesting (even leaving out strained geek metaphors about ground loops and other fallout from the Law of Ohm). There is a tightening of priorities, for one thing — as well as a sharp drop in the kind of mission-creep that comes from viewing a project primarily through the astigmatic lens of notebooks and text files. The important projects are right off the bow and looming at 7 knots; the ones that would be nice someday have retreated to the horizon. I now see my to-do list spatially, as one sees a nautical chart, with my freshly plotted current fix and dead reckoning track stable enough to allow something akin to planning, even with stray current introducing drift. This is much better than the swirl of nested to-do lists that characterizes life in the lab, where new toys languish in boxes, old ones are dusted-over in mute rebuke, and enough fog swirls around to render my current position uncertain even though I hadn’t moved in ages. For the first few days of this adventure, my 18-ton magic carpet felt more like a funny-shaped house… one that moves, to be sure, yet rather sedate and stable (a good thing). But under sail, she suddenly springs to life. 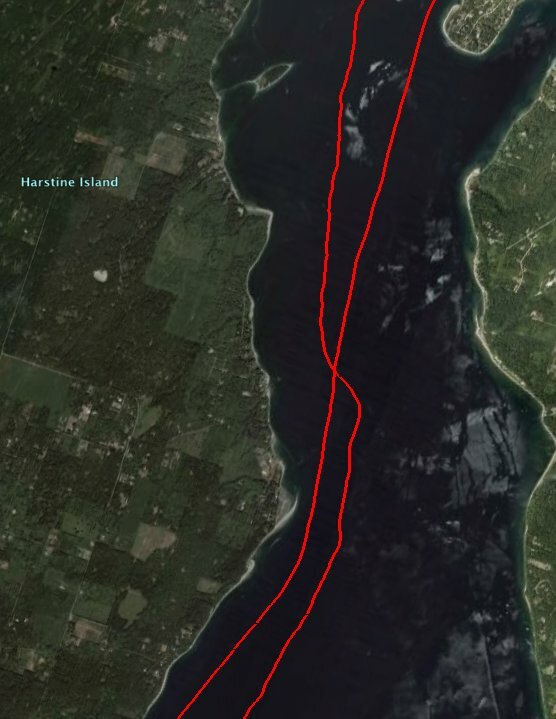 This was off the east side of Hartstine Island after a couple of nights on a buoy in placid Jarrell Cove (where we were tugged by the ebb and flow of an 18-foot tidal range). 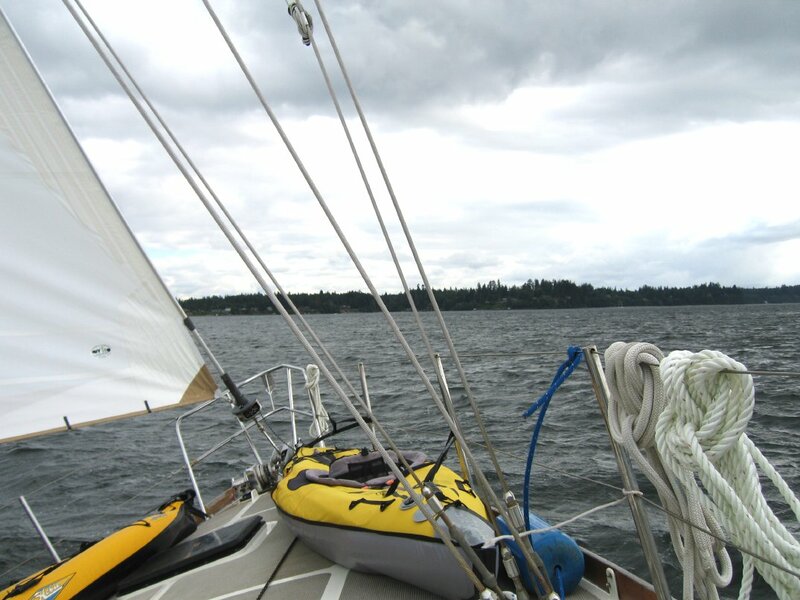 Returning south to Olympia, the wind kicked up and we unfurled the sails for a 15-mile dance with the wind. Between islands, the flow is not exactly steady, so the gusts would come and Nomadness would put her shoulder down, rail to froth, rounding up in the header with a roar… then settle back into the groove at 7 knots. I can see it in the track… an arrow-straight motor-line north paralleled 2 days later by a bumpy one south, minor perturbations induced by Helmholtz resonance, major ones shaped to the lee of the island as we frolicked on one boundary layer while afloat on another. I’ve been growing ever more fond of fluidity. Of course, there are a lot of ways to do this. It has been becoming more and more amusing to see the range of vessels out there… and the corresponding attitudes. Down in Boston Harbor, we were dubbed the “Great Dane” by Scotty, who caught our lines and regaled us with tales of a nautical life. Here in Shilshole Marina, we are surrounded by opulent yachts and carbon-fiber racers… and petite Nomadness actually looks a bit shabby by comparison, not so Bristol as her neighbors, and certainly much more modest in scale. Folks walk by on the guest dock without noticing us, eyes drawn to the carbon-fiber triple-spreader drool-inducing Icon or the 72-foot Bella Donna mega-catamaran. 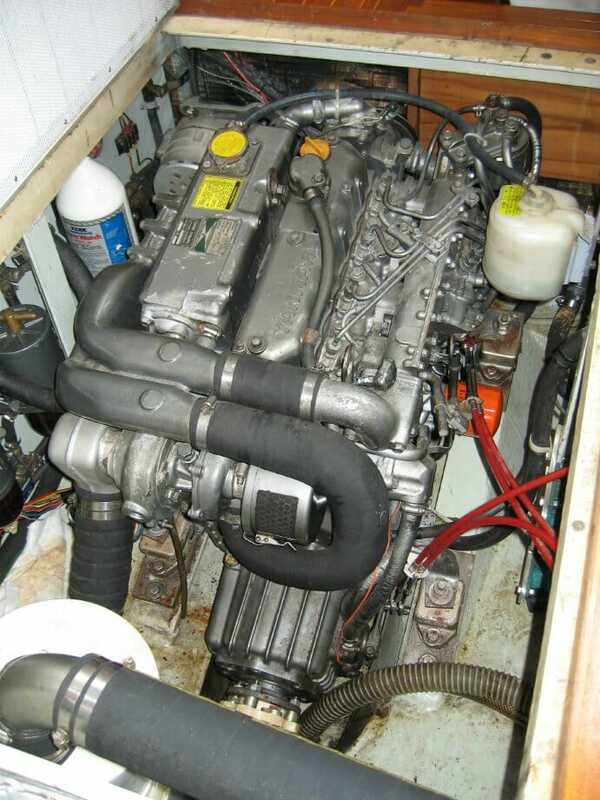 The mighty Yanmar 4JH-DTE 77-horse turbo diesel has been blue-smoking at low RPM even when warm, and the generator has been steadily dripping from the raw-water pump, so before turning attention to seductive gizmological overlays I thought I should make sure the infrastructure is shipshape. 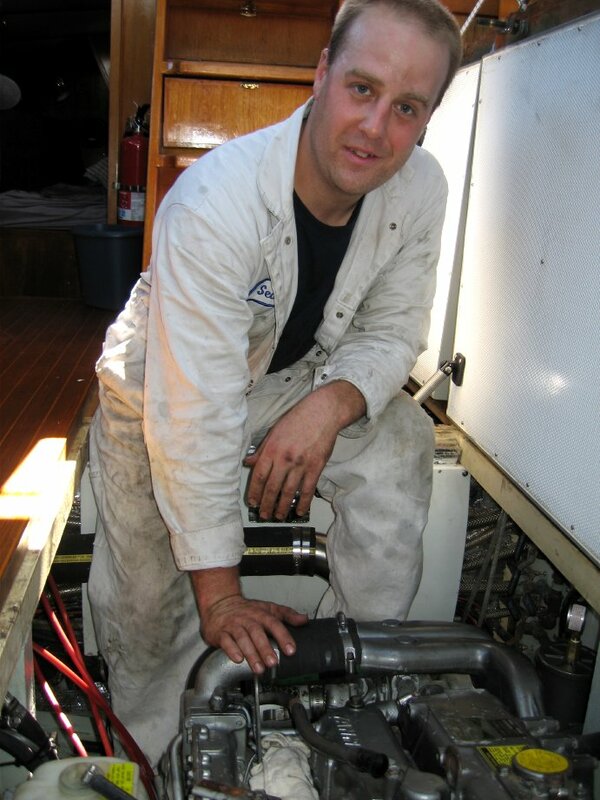 As I write this, Sean from Hatton Marine is doing engine gymnastics, obscenely draped over one diesel while plunging his arms deep under the other, wrenching by Braille and uttering little grunts. He inspires confidence, though, and the contraptions are slowly growing less mysterious. The pump has been replaced (and was indeed a ticking time bomb… loss of raw-water cooling means loss of the engine a few seconds later), and we’re about to test the main to see if the two injectors with poor low-pressure atomization were indeed the problem. 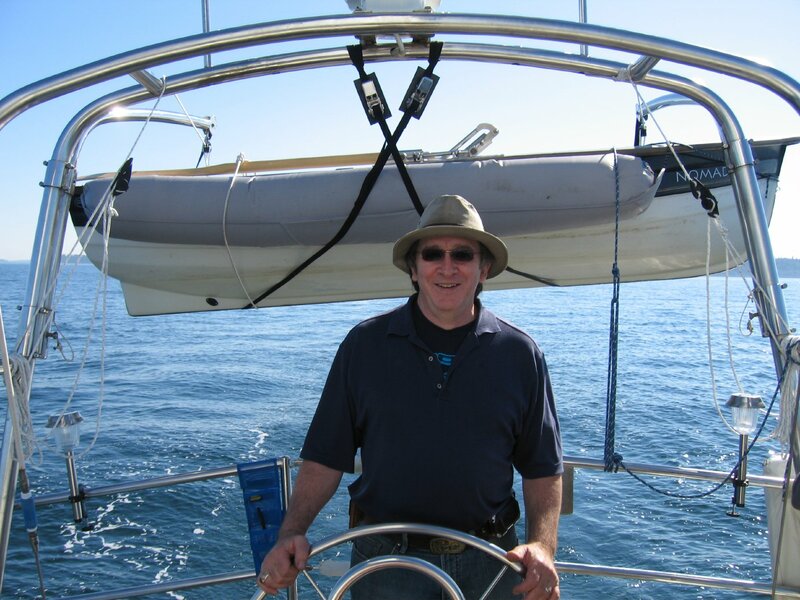 We’re off today to points north, including Port Townsend where we will have a plumbing job despite the presence of a few hundred boats for the rowdy Latitudes & Attitudes Cruisers Party. Very shortly thereafter, we begin the installation of the new Outback inverter/charger, solar controller, and monitoring system. I’ve been meaning to say this for a bit: I really enjoy the way you write, both in terms of the technical content, your word choices and general topics. And the photos … wonderful. I just hope the frequency will not decrease but will in fact increase when you are finally able to travel. Great to see you back out in the world again. Thanks for the more frequent updates, I’m looking forward to seeing where you take Nomadness and her crew. I tried sailing this summer for the first time with my son and had a ball. The idea has assumed a new place of promenace in my long list of projects.